Last week, we had no wool trades but saw a couple of rare cotton forward agreements. This week, wool trades came back, with six agreements, most of these in the medium wool category. Looking back at forwards for this month, there was just 18 agreed trades, the lowest number since December and the lowest March total since 2016. 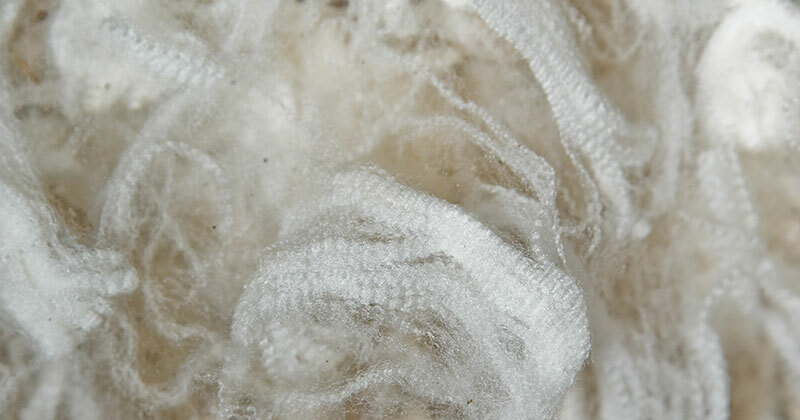 In the fine wool category, one trade was dealt for 19 Micron in April for 2,290¢. In the medium wool category, five trades were dealt for 21 Micron with two agreed at 2,250¢ in June, and three at 2,095¢ in October. Looking at the Aussie Dollar trend since the start of March, we see a single small downward movement at the start of the month followed by a relatively stable curve, with a couple of forays above 71¢. In fact, today we’re nearly exactly at the same price as at the start of the month. 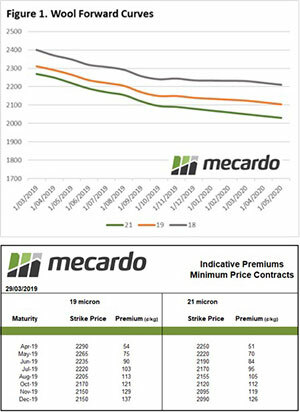 Over the month we’ve seen a gradual overall cooling of physical auction prices that can be traced back to lower quality wools presenting more frequently.